When looking through the Legion spec reviews I posted last week, I noticed I put a lot of thought into the Survival focus mechanics, and very little into how focus would work for BM or MM. 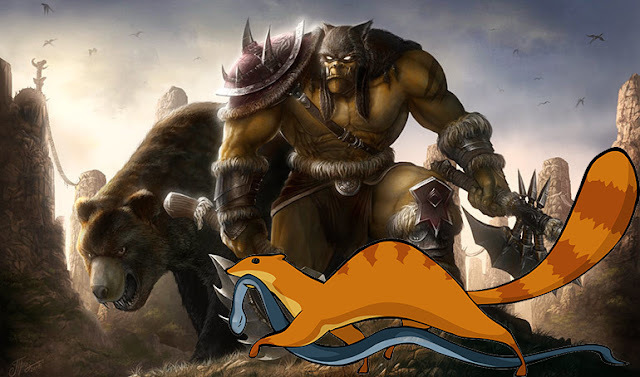 For BM, we don't really know that much, as it's clear from the WarcraftDevs twitter and Andrew Chamber's reddit responses, that they're still fairly undecided with how Dire Beast will work, and there's talk of focus generating talents, if need be. For Marks, however, we already have a good bit of info regarding focus and its regeneration. **WARNING** Everything I'm about to say is based on my interpretation of a fairly limited preview of the Hunter class in Legion. While I will not write anything intentionally misleading, any/all of it could change before the Legion Beta even comes out. 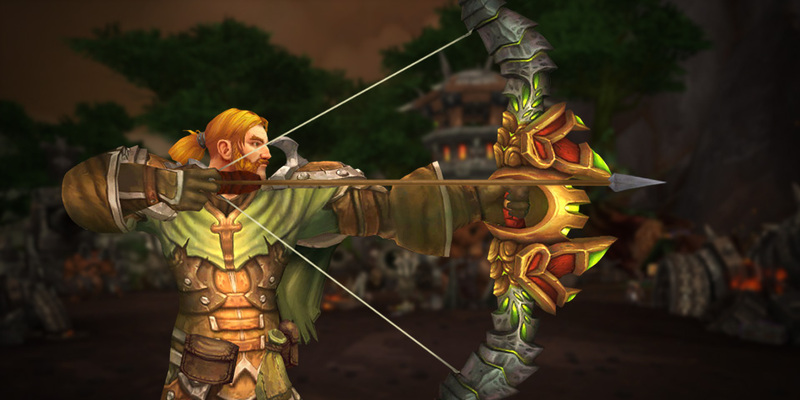 From what we know so far, we have two ways of gaining focus as MM hunters in Legion. Our baseline regen that will give us 10 focus per second (modified by haste), and Arcane Shot, which will generate 5 focus per GCD. From what we know so far, the vast majority of our focus will be pumped into Aimed Shot, costing 50 focus. In addition, we'll be spending focus on Marked Shot, a channeled ability with a 30 focus cost, and most likely some Talents (Black Arrow, for example). Next, we can add in our Marked Shot. While we did get some info about Marked Shot, we don't have any idea how long of a channel it is yet, or more importantly, how long we have to channel it to get the 10 sec buff on our Aimed Shot. The text we have says "Rapidly fires a shot at up to 3 targets..." to me, that does not sound like our current Barrage talent; the Barrage tooltip reads "Rapidly fires a spray of shots...". Assuming the singular "shot" from the Marked Shot description is intentional, I think it's fairly safe to assume (as safe as it is to assume anything this early) that we'll have to cast it multiple times to get the 3 stacks of buffed Aimed Shot. Here we're averaging 13-14 Aimed Shots per minute, which is of course significantly lower than when we had just Arcane and Aimed, but the extra 75% on those Aimed Shots will more than make up for it (not to mention that Marked Shot is listed as a strong damage ability). Note, for anyone interested, that because we don't yet know what the percent chance to proc Hunter's Mark is, I didn't try to include any expected value procs for it. I am assuming that on a single target fight, after it procs, it will stay refreshed so long as you are casting a reasonable number of Arcane/Aimed Shots. I'm really excited to get more information from the beta to see if I'm guessing the priority correctly, and to get a look at some of the talents and how they'll fit in here. 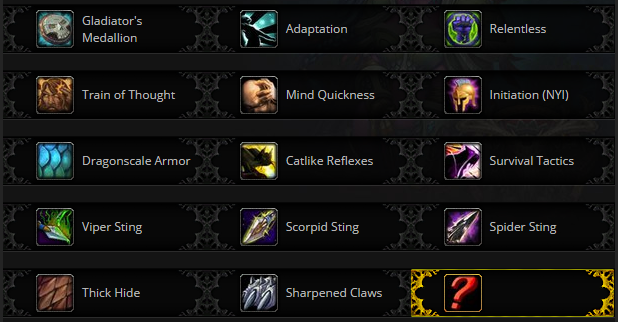 This is obviously a fairly dry rotation with just these three buttons; even if you take the Lock and Load talent from the Legion Class Preview, you'd only be looking at variation due to a proc about once a minute. Here's hoping the Talents fix all of that, though! 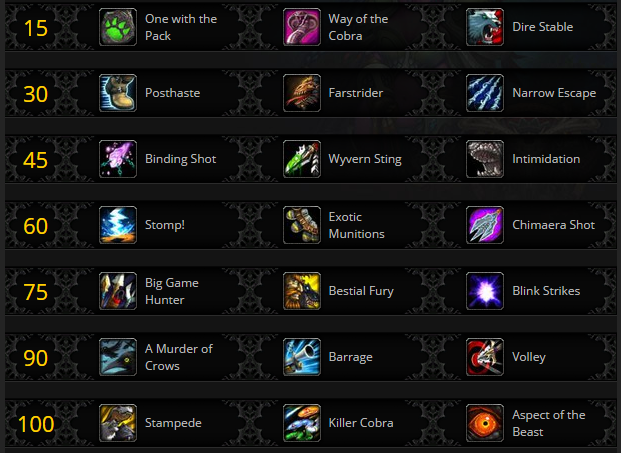 Have I mentioned lately how excited I am for Sylvanas talents!? 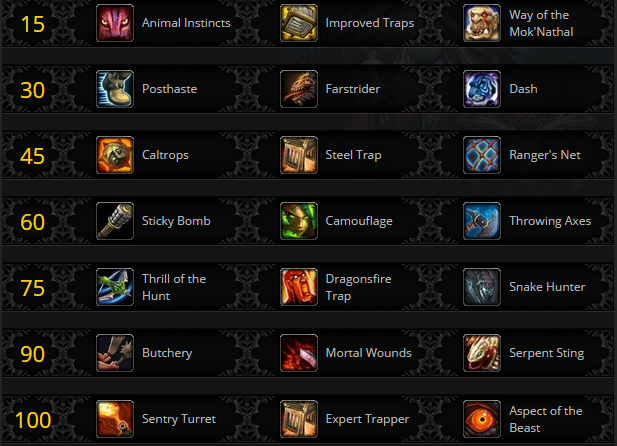 With Marksmanship, we've reached the last of my posts specific to hunter specializations in the Legion Class Previews. I have very mixed feelings about the spec going forward, especially about the "fantasy" of Marks: for as much as I hate the idea of any hunter class being petless, I have to admit I'm fairly excited about Sylvanas's influence on the new spec. So let's just dive in there. I think it's time to give up on the name "marksmanship". 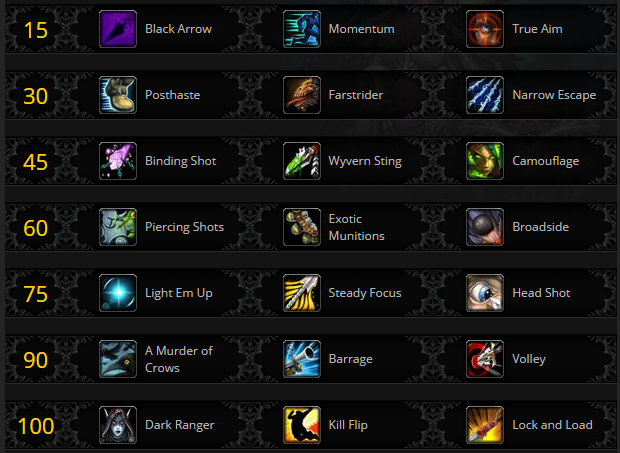 Some of the support classes are having their spec names changed (combat rogue is now outlaw? ), and none would be more appropriate than with Marks. For one, MM is the only gendered spec name in all of WoW. From a class fantasy perspective, when most people hear Marksmanship, they think "sniper" (his is compounded with talents like Sniper Training, of course). The image for most, it seems, is of a soldier, hiding behind cover and picking off targets. While that is a fine idea for a spec, I think that should be a warrior spec, not a hunter spec. I think this confusion is why, ever since the announcement at Gamescom, we've continued to see thread after thread on the forums claiming BM should have a bow, and Marks should have a gun. So my proposal is that we change the spec name to "Ranger". 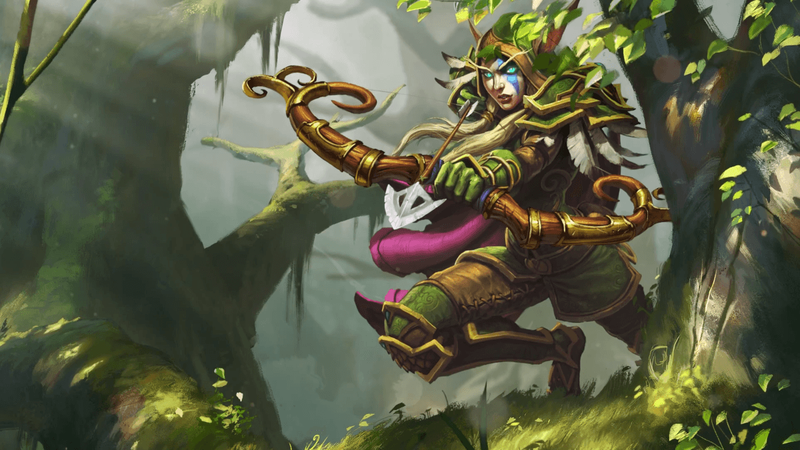 I suppose there will still be some confusion, as in most RPGs, ranger is a hunter-type class that fights from range or melee (as hunters could originally in WoW). For the most part, however, the wow idea of a ranger is well established through the two elvish races. The the Farstriders and Windrunners, Shandris Feathermoon and even Tyrande Whisperwind seem to be the models for the new Marks; why not go all the way and just call the class Rangers. There will be no more confusion as to why they received a bow artifact, and will feel less the need to compare the spec to the old Marks. 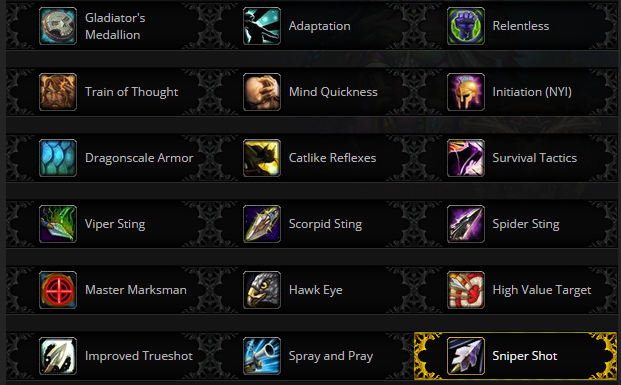 Furthermore, Marksmanship has always felt like the least magical of the 3 hunter specs. Most of the prominent Rangers in game, however, have some magical abilities also, with Tyrande and Sylvanas obviously having huge amounts of magic. This seems to be the direction Blizzard is going with Marks: the only spec that will have Arcane Shot, and getting Black Arrow as a talent. These magic abilities don't fit with the idea of a Marksman/Sniper fantasy, but have well established places in the Ranger lore of Warcraft. Perhaps the most exciting part of the Marksmanship changes is Blizzard seems to be giving us, through talents, the option of a Sylvanas build. With Black Arrow and Dark Ranger, this could be a really cool part of the Ranger fantasy for some people. I know that I, even if those talents turn out to be sub-optimal, will be leveling a Belf hunter, searching out a Sylvanas transmog and taking all the Sylvanas talents on that character, just for funsies. I really love the current (live) iteration of Chim Shot, when I see that blue and green streak come out I get really excited, knowing how much damage I'm about to do. Even so, I do like the idea of having a spec with no traditional "signature ability" (as we've had for the last few xpacs in Explosive Shot, Chimaera Shot and Kill Command) on a shortish CD, which is what was presented in the Legion Preview blog: Arcane Shot to build focus, and Aimed Shot to dump it, no "signature ability" to line everything up around. And I suppose that will be the biggest change to our "rotation". 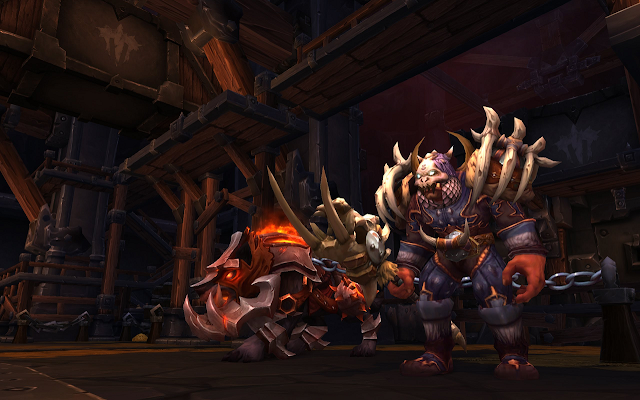 Not having any rotational CDs will free us from the 6 or 9 second cycle everything had to fit into in Cata/MoP/WoD. Remember the the theorycrafting Frostheim used to post on the WHU where he'd go through at what haste levels it was worth delaying our signature shot in order to squeeze in another cobra/steady shot? Now the only determining factor for which ability to use will be it's priority, utility or how much focus we have. One danger in this is, if there is a talent that has a lower DPCT and DPF than Aimed Shot, there will be no place for it in our rotation. Since our most powerful ability doesn't have a CD and is now our focus dump, we can just spam it so long as we have the focus. There is no time between signature shots to squeeze in other talents. That will be fine, as long as our talents are significantly powerful that they will get a higher priority than Aimed Shot. Another worry I have, is that the "priority system" we currently use will actually turn completely into a rotation. What I mean is, if we don't take a talent with procs, on a patchwerk style fight we'll be looking at having an exact order of abilities to cast, and then just repeat that cycle over and over. 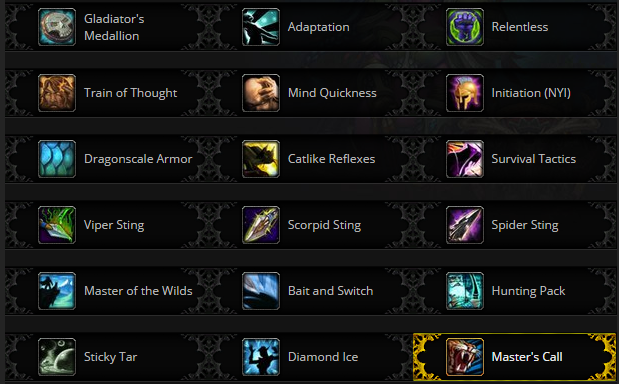 As I've mentioned before, I do not like playing a spec in which a simple cast sequence macro could perform as well as I. Hopefully this can be fixed by making the talents that proc things, like Lock and Load, powerful enough to be necessary to doing good DPS. We've now heard brief mentions of two MM talents (Black Arrow and Dark Ranger), but only really have much information on the talent from the Legion Preview blog: Lock and Load. I'll admit that when I first saw the name, it kind of felt like a punch to the stomach, as it just further emphasizes that my favorite hunter spec (the last few expansions' versions of Survival) is no more. Once I got past that pain, I got pretty excited about how this talent will work. First of all, who doesn't want to attach explosive charges their arrow? It's very Green Arrow / Hawkeye -esque. The AoE explosion component of the new LnL may make the ability mandatory in heavy AoE fights, which isn't at all a bad thing, as Marksmanship has traditionally struggle with AoE. I'd like to put the part about triggering a Lock and Load (2 focus-free instant Aimed Shots) into some perspective though. The chance to trigger this is incredibly low. We have a ranged auto-attack about once every 3 seconds (there are a couple of 2.8 second weapons, but as far as I know, only crafted, all raid drops are 3 seconds). That is modified by haste, but you'd need 50% haste to get that down to an autoshot every 2 seconds. A 5% chance once every three seconds means we'll have an expected value of exactly 1 lock and load proc per minute. 2 focus-free instant Aimed Shots per minute. Unless they raise the percent chance to proc, it's safe to only look at the explosive charge component of this talent when considering it's value. I'm quite glad to see Hunter's Mark return; I've really missed that little red arrow bouncing on my enemies heads, announcing their eminent death. With that said, it will need to be a fairly significant chance to be applied for this to be much fun. I fear seeing some adds, spamming Multi-Shot a couple times or cycling through Arcane Shot to get Hunter's Mark on each target, finally getting them all marked but then the adds are all dead before I can cast Marked Shot. Then crying in a corner somewhere. It's also worth noting that the actual channel of this will likely not last long; if you cast 3 Arcane Shots, and get lucky enough that each one applies Hunter's Mark on a target. even then you only have 3 seconds left of Hunter's mark on the first target. The "exposes vulnerability" portion of the ability, will most likely be much more valuable, as it has the potential to greatly increase you priority target burst, with three stacks of Exposed Vulnerability, increasing Aimed Shot damage by 75% for 15 seconds. I have some pretty serious doubts that there are any PvP devs who ever come across this blog, but just in case, please please please let Hunter's Mark keep rogues from stealthing. It's only six seconds, so it's not like the old hunter's mark that would bother them all the way across a map, just six seconds of freedom from the rogue's tyranny of annoyance. I do prefer the change from movement restrictions on Sniper Training to simply being on Aimed Shot. The Sniper Training movement made it basically impossible to utilize in PvP, and though I thought it was an interesting idea, it just felt kind of clunky (for lack of a better word): like the days of stutter stepping, but on a more drawn out scale. With that change, Mastery should become a much more useful stat for MM hunters, or at least even if it's not the best, it will no longer be a penalty on heavy movement fights. And this should make a lot of the Nelf hunters out there very happy, you can now go back to flipping around all the time, at least when you're not casting Aimed Shot. No more traditional "Signature Ability" to base your rotation around; I have no idea how that will feel. Getting to be Sylvanas somewhat (maybe) eases the pain of losing our beloved pets.